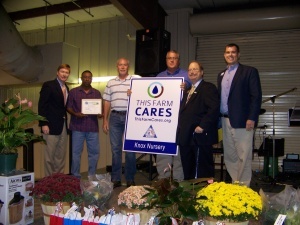 Orange County is proud to help be the Voice of Agriculture. One of the ways the county brings awareness to its members on important agricultural issues that affect the local citizens is through its County Annual Meeting held in the fall. 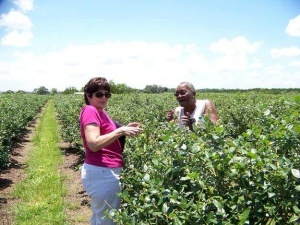 Local public officials have the opportunity to visit and interact with members so that they can be better connected to key agricultural issues. The county also uses this venue as a time to publicly recognize the environmental stewardship of local farmers with conservation CARES award. Another way Orange County Farm Bureau brings awareness of agriculture to the community is by offering farm tours to county school board members. Last year’s tour included a trip to Beck Brothers Blueberry Farms and Knox Nursery.